A self-guided cycling holiday exploring Italys best-kept secret - region of Puglia located in the southeast, also known as the heel of Italys boot. This is a cycle tour that will take you into a region of stunning unspoilt beauty, following sections of the EuroVelo 5 route. Starting in Altamura, located in the Murgia region and famous for its churches that have been carved out of the limestone rock, your first ride will take you to Matera (set to be the European Capital of culture in 2019), where there will be plenty of time to explore the famous quarter of Sassi, now a heritage site, where you'll discover dwellings carved out of the tuff (tufa). Riding on through ancient olive groves and narrow country lanes, you'll reach Alberobello, a town made up of Trulli houses where you'll stay for two nights. After exploring this fascinating Trulli region you'll carry on to Ostuni, where you'll have the opportunity to take the train to Lecce and visit the “Florence of the South”. 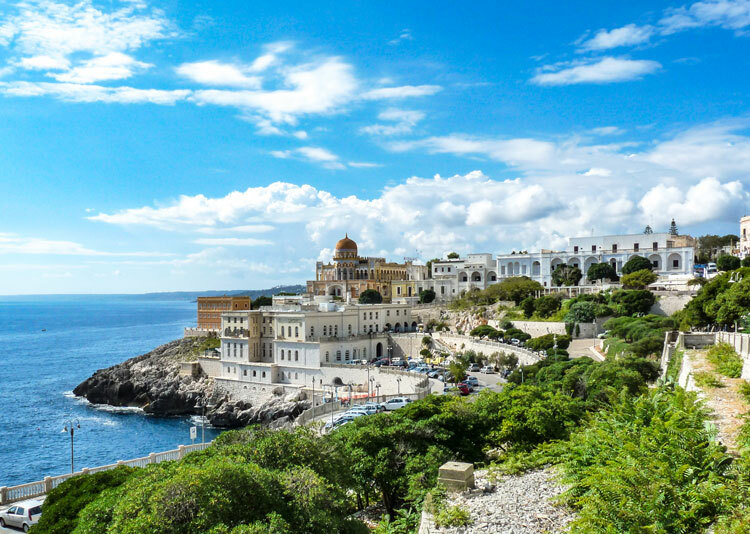 Heading north you'll reach the Adriatic coast, enjoying coastal views and exploring the coast towns of Monopoli and Polignano sul Mare.